If you want a super Christmassy product this is defiantly the one for you. 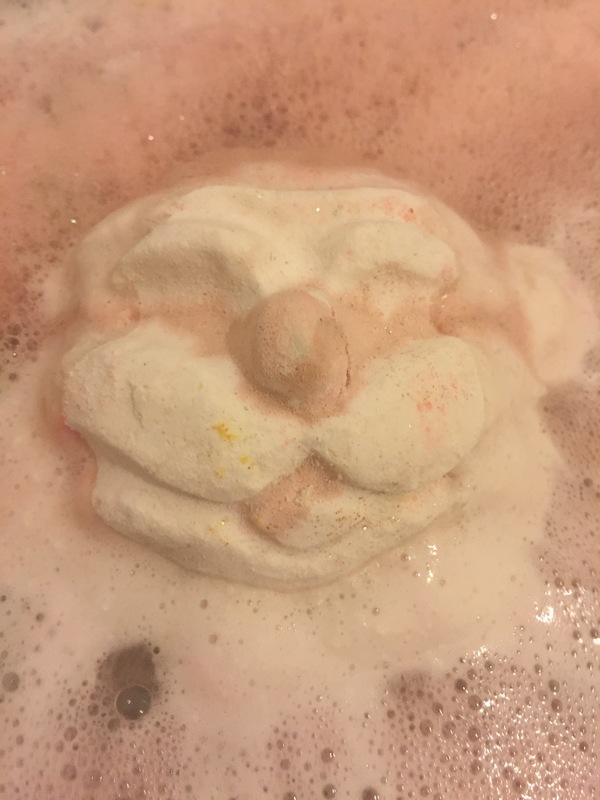 This large pale pink and white bath bombs apply features santas face on the front. I personally find this a little creepy but I know his cute looking face is loved by many. 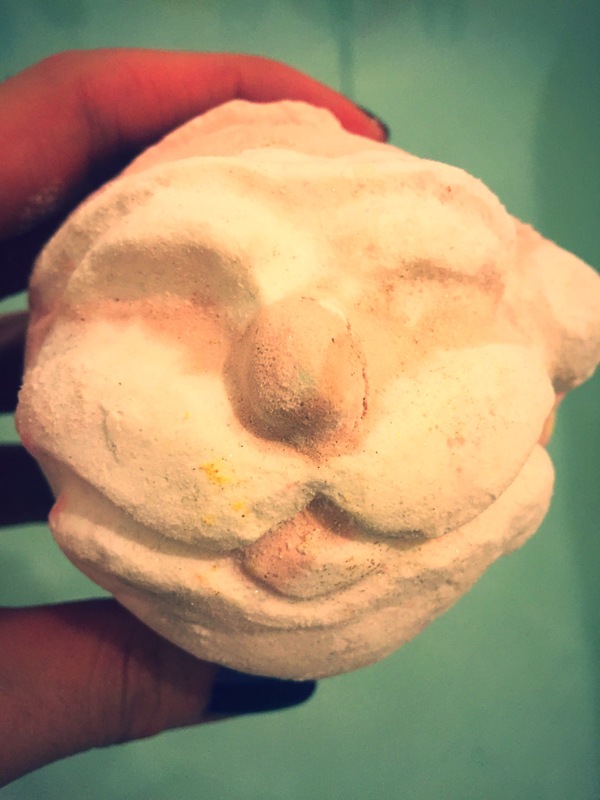 The whole appearance of this bath bomb is defiantly great for any Christmas lovers out there, as you can’t really get much more Christmassy than a little Santa face. This year the design of this product has been kept the same, but the scent has changed and now shares its scent with the much loved snow fairy scent which I am absolutely delighted about (I love anything snow fairy). This bath bomb smells like its direct from a sweet shop, the best way I can describe it is freshly made candy floss. 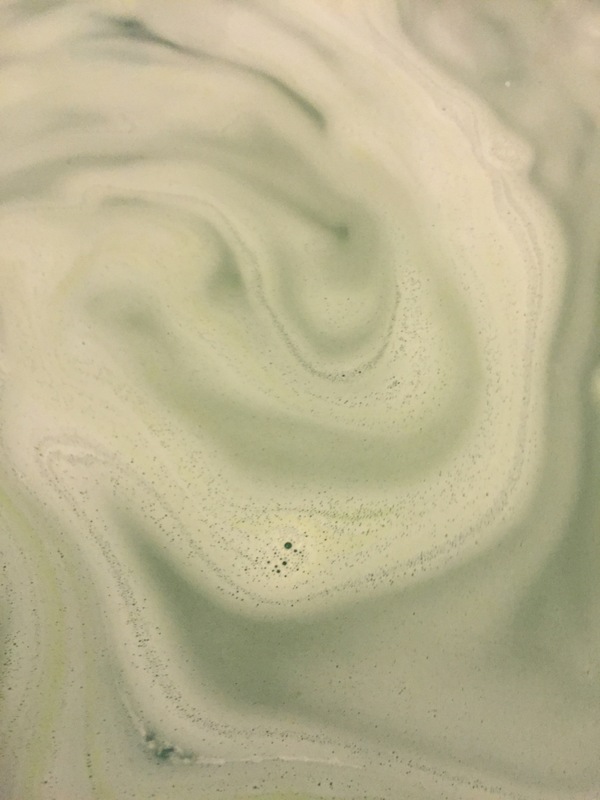 It is a very light sweet sugary scent and is so delicious you will have to stop yourself from eating this bath bomb. 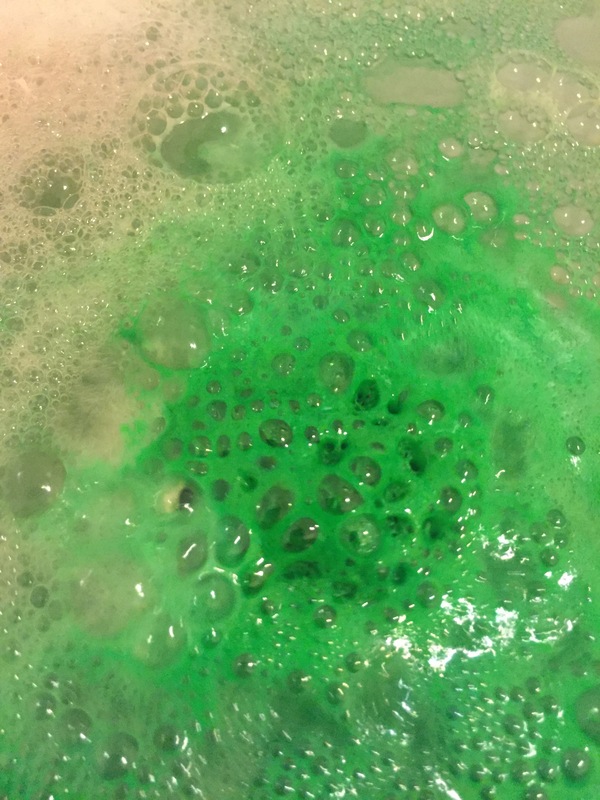 Now the thing I like most about this bath bomb is when you pop it in the water. I always love a bath bomb that has a bit of a element of surprise to it and this is defiantly one of them. At first it fizzes away sending pink and white foam all over the surface of the bath. Then all of a sudden bright green foam spread across the surface of the water creating the most wonderful display. The scent is just Devine aswell and without being to over powering. It lasts the entire baths and leaves a subtle scent on the skin. Overall I think this is a fantastic Christmas item! It has a wonderfully magical scent and is just as magical in the water. If you haven’t yet make sure you try one of these before they are all gone . Ingredients- Sodium Bicarbonate, Citric Acid, Cream of Tartar, Gardenia Extract, Sodium Laureth Sulfate, Lauryl Betaine, Perfume, Synthetic Musk, Methyl Ionone, Benzyl Benzoate, Colour 19140, Colour 42090, Colour 14700.